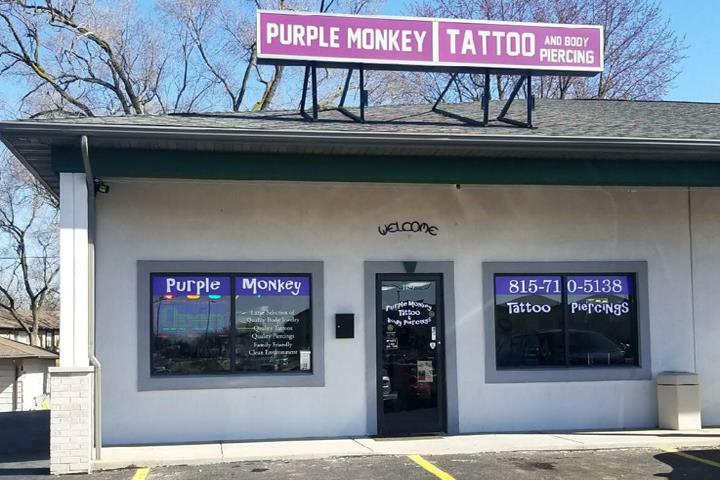 Purple Monkey Tattoo And Body Piercings, in Morris, IL, is the area's leading tattoo studio serving Braidwood, Coal City, Channahon, Morris, Minooka and surrounding areas since 2016. We specialize in tattoos and piercings. For your next tattoo or piercing, contact Purple Monkey Tattoo And Body Piercings in Morris. Established in 2016. Purple Monkey Tattoo And Body Piercings is proud to serve our local area which includes Morris, Mazon, Channahon, Minooka, Coal City, Braidwood, Wilmington, Ottawa, Marseilles, and Seneca. We specialize in Tattoos and Piercings since 2016.